To prepare students for a constantly changing, connected world, higher education is creating more personalized and collaborative learning environments. Colleges and universities are in the middle of a significant shift in educational models, delivering both unique learning models and student campus experiences through digital transformation. Students are increasingly taking advantage of technology on demand to meet their own learning needs and chart their own path to workforce readiness. With the likelihood of a workforce shortages in many industries, we need to be looking for new ways to help build a future-ready workforce. Today’s students–who are digital natives–are the key to solving real world problems. According to a recent Dell Technologies study on Generation Z, 80% of Gen Z (those born after 1996) aspire to work with cutting-edge technology and more than a third are interested in IT careers. Yet, 94% of the Gen Zers are worried about having the right skills and experience. Universities are finding a way to tap the potential of budding innovators and by giving them an opportunity to show off their tech savvy, while also giving students the soft skills to make them more confident as they prepare to enter the workforce. 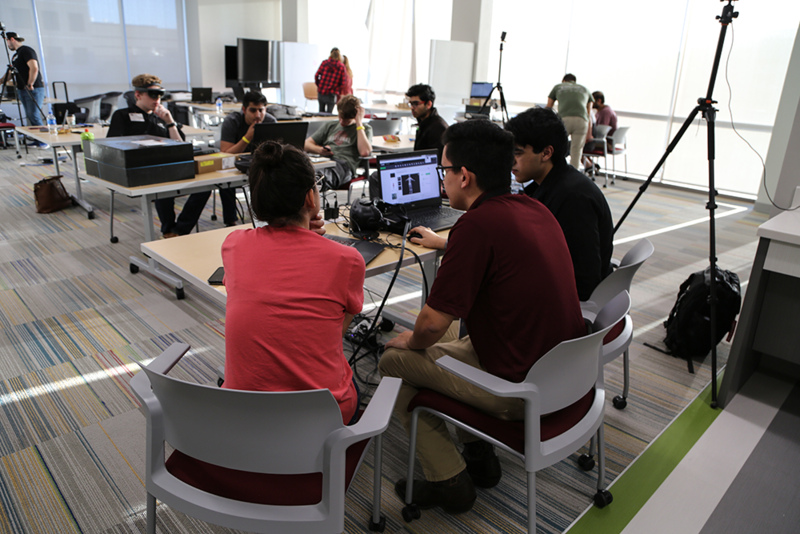 Specifically, Texas A&M engages students with immersive learning with Aggies Invent, a 48-hour intensive design experience which engages 60+ students in multidiscipline/multi-level teams in hands-on projects that will push their innovation, creativity, and communication skills. The end goal is to provide students the opportunity to acquire skills essential to becoming successful innovation leaders and support them in founding startup companies. These events are held monthly during the academic year and have different themes. This past weekend, I had the opportunity to participate as a mentor as Dell with Intel and Nvidia supported the Augmented Reality (AR) and Virtual Reality (VR) competition. Participating students were asked to address challenges using AR and VR solutions, in a wide range of industries including healthcare, first responders, education, military and designers. To reinforce the immersive experience at the event, students were provided with Dell Precision 7730 workstations, VR technology (HTC Vive headsets) and AR technologies including Microsoft Hololens, Magic Leap headsets and Meta headsets. In addition, Dell and supporting sponsors lent their expertise to assist students all weekend long with mentoring and assistance with the technology solutions, product development as well as marketing. Over the course of 48 hours, students self-organize into teams and selected a challenge that they would like to solve. In the first few hours of the competition, the teams identified the specific need to address, developed three different options to solve the challenge and presented to a panel on how their plan will deliver a unique solution to address their challenge. From there the teams worked to develop the concept, produce a 90 second video describing their idea and a final 10 minute presentation in which they presented to the judges. For me, the most of exciting part of the challenge was the ability to work as a mentor with the student teams. Students wanted guidance on a number of different activities. Technical guidance included helping them understand the different uses of AR and VR technology and how to determine which might be the best fit for their solution and what development platforms are being used today for content creation. As they presented their plans, the Dell team provided feedback on presenting their solution, including Powerpoint and presentation best practices. It was exciting to see how much the students progressed as a team over the course of 48 hours from their initial concepts to the presentations to the judges. 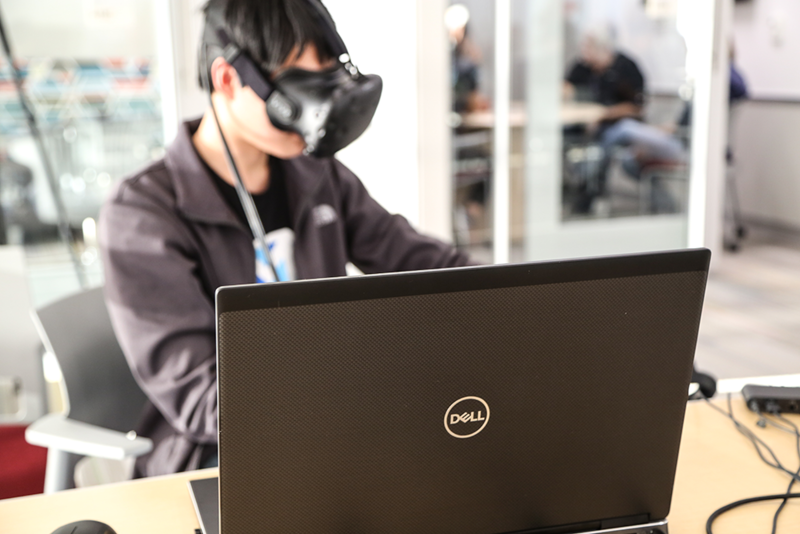 Each member of the winning team, which created a VR solution to address the fear of speaking in public, received a Dell 5530 Mobile Precision Workstation. The second place team developed an AR solution for improving the experience of purchasing clothes online and the third place team developed a VR application to teach students materials science. The placing teams all received monetary prizes as well. Today, higher education is at a pivotal moment. College and universities are looking for new ways to provide learning experiences and prepare their students for the future. I am proud to work for an organization that helps higher education with digital transformation through innovative and affordable solutions delivering enhanced learning experiences, improving student outcomes and exploring important research initiatives. Dell is helping universities prepare for students for their digital future.